this one is kinda stupid it doesnt really work that well compared to that #3 one!!!!! Wow this is amazing i did it and i can see it clearly on my ceiling :) :) !!!!!!!!!!! holy macaroli man i showed my mates in skool they luv it1! The skull is allsome but i dont see anythink? i actually saw it! 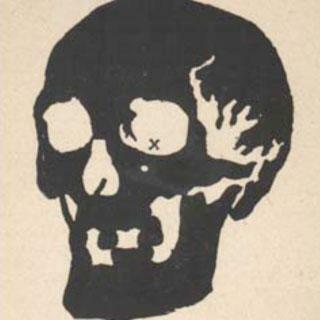 ... instead of being white and the skull being black it was the other way round... some scary **** man!! Nice. I seen the skull by blinking really fast.